The Mustang has all new driving mode. It comes standard with rear-wheel drive (RWD), however. 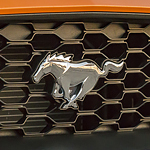 There are a few different performance-driven features that drivers have absolutely raved about since the unveiling of the 2018 Mustang. One of the new driving modes is actually preferred for drag racing. It's called the drag mode and lets you turn your American muscle car turn into the ultimate race car. You can also add things like a MagneRide damping system, which automatically selects a drive mode based on the road conditions. These are some of the features that have earned Ford an innovation award. In addition, Ford's engineering team has been praised by many in the car world for its new take on the different engine models. There are way more options with this latest lineup. It's a great time to drive a Mustang. Stop by Ed Shults Ford-Lincoln for a test drive.